Super duty 1-1/4″ HSK 63 quick change program shaper 10 HP. Equipped withPLCprogram controller for easily set up at any spindle position. 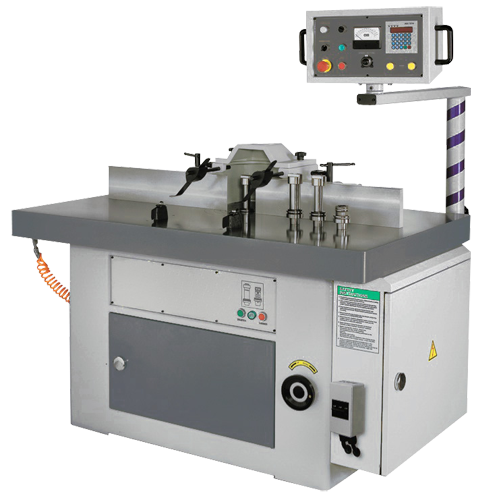 The cutter spindle holder is controlled by pneumatic locking system, by push bottom for spindle change, providing fast and smooth cuter change.